The 27-hole championship Robert Trent Jones Jr. designed golf course features three unique nine-hole courses: Sunrise, Lakes and Canyon. 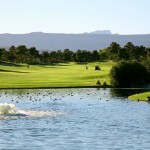 If golf is your passion, Spanish Trail Golf and Country Club can accommodate your desire in grand style. Designed by renowned golf course architect, Robert Trent Jones, Jr. more than a million cubic yards of earth was moved to shape this 27-hole championship course at Spanish Trail. Undulating hills with tree-lined fairways, more than 120 bunkers, and fifteen lakes with streams and waterfalls complete Jones’ masterpiece. Each of the nines is configured to create three distinct 18-hole courses. The course is designed to challenge the novice as well as the professional golfer. 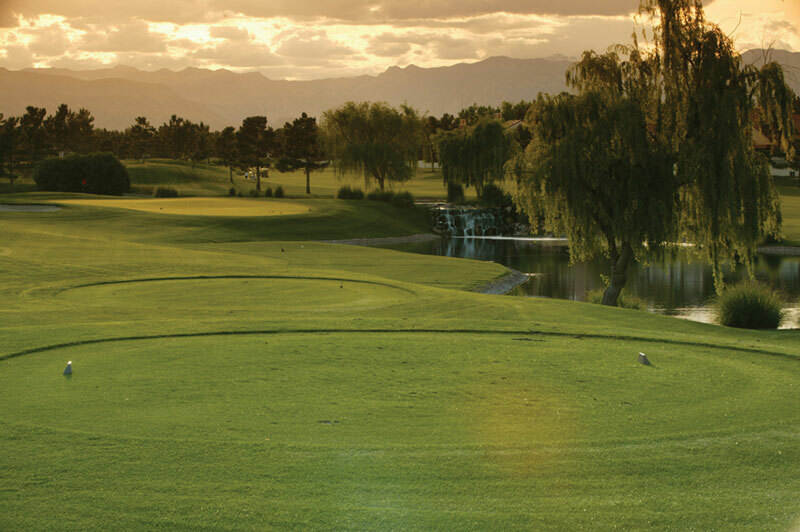 It has served as host course for the PGA Tour’s Las Vegas Invitational, 1985 through 1989, 2003 Nevada State Men’s Senior Amateur Championship, 2004 Nevada State Men’s Amateur Championship. 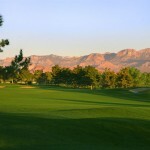 2005 Nevada State Women’s Amateur Championship, and the 2006 U.S. Senior Challenge. At the same time, guests with a 20 plus handicap can enjoy the splendor of the course’s parkland setting and hole-out on the 18th in less than four hours, which is the Club’s average round. The Sunrise Course measures a total of 3,426 yards from the championship tees and features the signature 9th hole waterfall located next to the clubhouse. 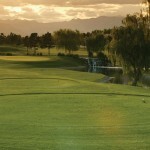 The Sunrise course features large undulating greens with rolling fairways. The approach shots on the Sunrise course are critical because the potential hole locations ca be treacherous if the ball is on the wrong side of the hole. The Sunrise course also features one of the PGA Tour’s most challenging par three holes. 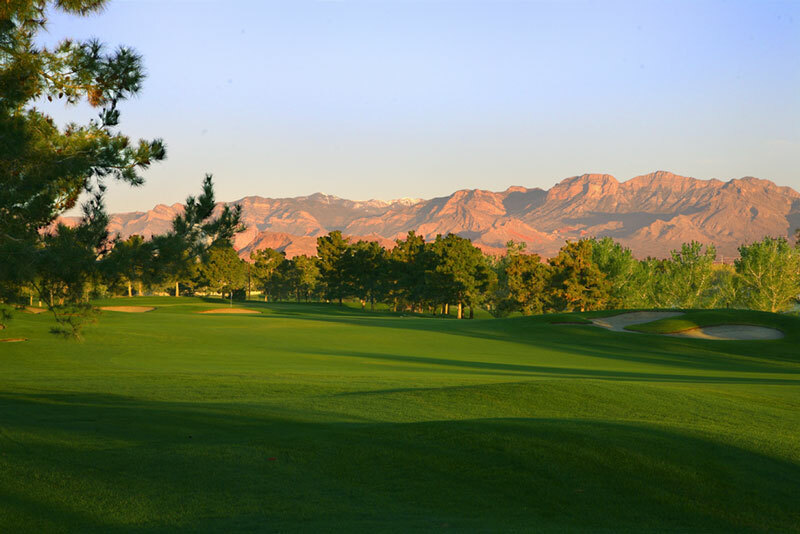 The fifth hole was ranked as one of the toughest holes on the PGA Tour when Spanish Trail Golf and Country Club hosted the Las Vegas Invitational in the late 1980’s. The Lakes Course is appropriately named; water comes into play on six of the nine holes. There are forced carries over water on several holes and the greensides are guarded by water on five of the six. 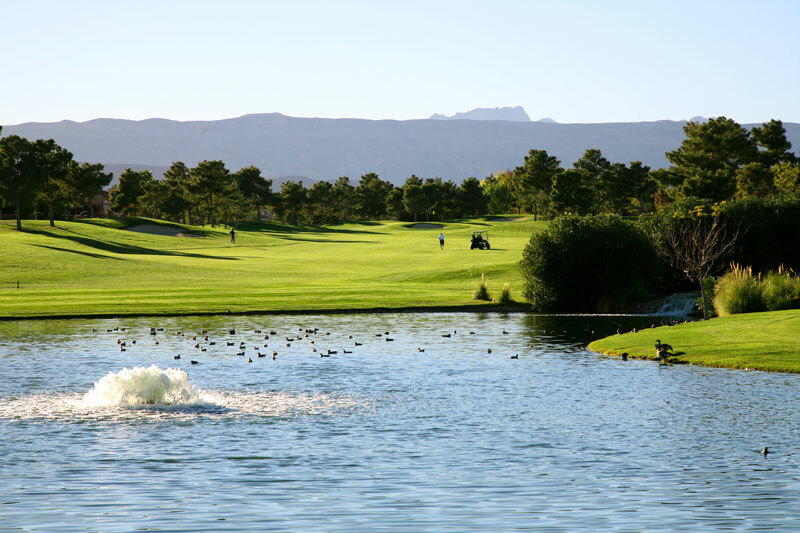 One of the most beautiful par five holes in Southern Nevada is Lakes #2, a 601 yard challenge from the championship tee, with a water-protected green located next to a beautiful waterfall. The beautiful and scenic #3 is the signature par three hole, which measures 180 yards from the championship tee and requires a carry over two lakes. Again, like all Robert Trent Jones, Jr. designs, there is a premium on your approach shots because of the fast and undulating greens. The Canyon course is the longest and most challenging course at Spanish Trail Golf and Country Club, measuring 3,576 yards from the championship tees. Newly renovated, the Canyon course has two beautiful par threes, including the second hole, which has a gorgeous lake and waterfall located next to the green. The finishing stretch of numbers 7, 8, and 9 will test even the best golfers. Number seven is a 215-yard par three framed by bunkers and desert landscaping; par is a very good score. The eighth hole is a 567 yard par five which plays much longer than the actual yardage, as water protects the green and comes into play on an errant second shot. The ninth hole measures 421 yards and has an elevated green protected by deep bunkers. Online booking for Spanish Trail Country Club is not available. from 7:00 AM to 7:00 PM PST. To schedule a tee time please call 800-641-6404. Course Architect: Robert Trent Jones, Jr.